I like to start my Royal Enfield Bullet with the motorcycle safely on its center stand. 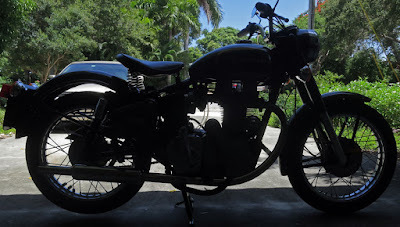 Nothing is more fraught with significance than starting your classic iron barrel Royal Enfield Bullet motorcycle. Especially if someone is watching. Are you not man enough to kick start a motorcycle? And how are you going to get to the motorcycle rally if your Bullet won't start? Drive your car? You would never live that down. Here's the starting procedure I employ every time I start my 1999 Royal Enfield Bullet after it has been idle for a few days or a week. Advice here applies to these old fashioned Bullets. 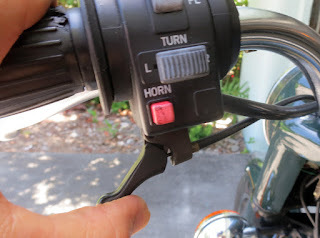 If your Bullet has electric start there will be other considerations, such as raising the kickstand. 1. Put the Bullet on its center stand. I prefer starting the Bullet while standing next to the motorcycle with it supported on its center stand. This eliminates trying to balance the motorcycle while astride it. It also means that you can delay putting on riding gear until the motorcycle is running. 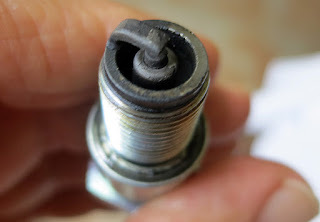 Clean the spark plug (or change it) to ease starting. 2. Clean the spark plug. This only takes a moment and it's cheap insurance against having to huff and puff on the kickstarter, hoping a random spark will occur. 3. Drain the oil out of the sump. Oh, you thought this was going to be easy, huh? Do you want your Bullet to produce clouds of smoke when it starts? How is that going to look? 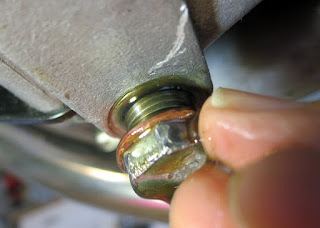 Classic Bullets may "wet sump" if left sitting for even a day or two. Small amounts of oil leak into the sump and will smoke up the whole neighborhood if you don't remove it before starting the motor. Replace the plug. You will need to add oil to replace the amount you drained off. If you drain off significant amounts of oil, you must replace it. Put the kill switch in the "Run" position. 4. Move the kill switch to "Run." DON'T IGNORE THIS STEP. Turn on the fuel supply. 5. Move the fuel tap lever to "Run." The lever points down towards the ground when it is in the Run position. Hold the clutch lever and kick until the kicker goes limp. 6. Free up the clutch by squeezing the clutch lever and kicking the kick start lever until it goes limp. Bullet clutch plates tend to stick together if left in contact. Unless you free them up this way you may get quite a jolt the first time you put the gearbox in first gear with the motor running. Turn up the idle. Slightly open the throttle as you do this to save wear on the knob. 7. 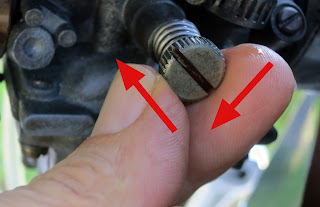 Rotate the idle control (knurled metal knob on side of the carburetor) clockwise half a turn. This increases idle speed, so if the motor does start, it will be likely to keep running. 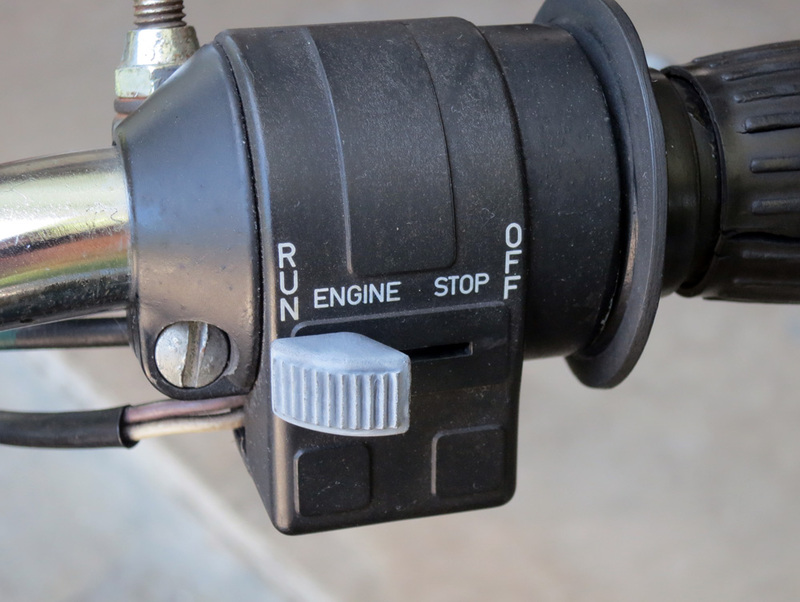 Once the motor is running cleanly you can turn the knob counterclockwise to reduce idle speed to your liking. 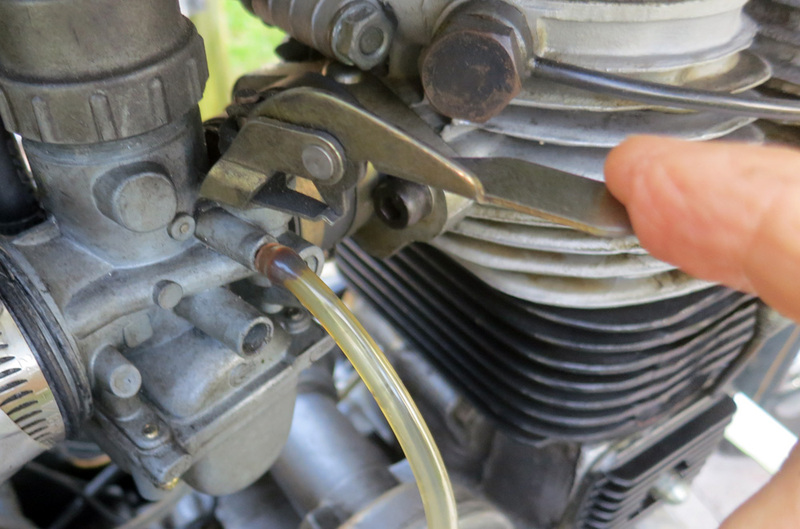 Hold the decompressor open as you gently move the kickstart lever to move the piston past compression. 8. Turn on the ignition and set the piston. 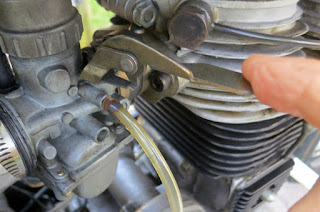 The idea here is give your kick the best possible chance to fire the motor by placing the piston in the ideal position. Just press on the kick start until it encounters firm resistance (compression). 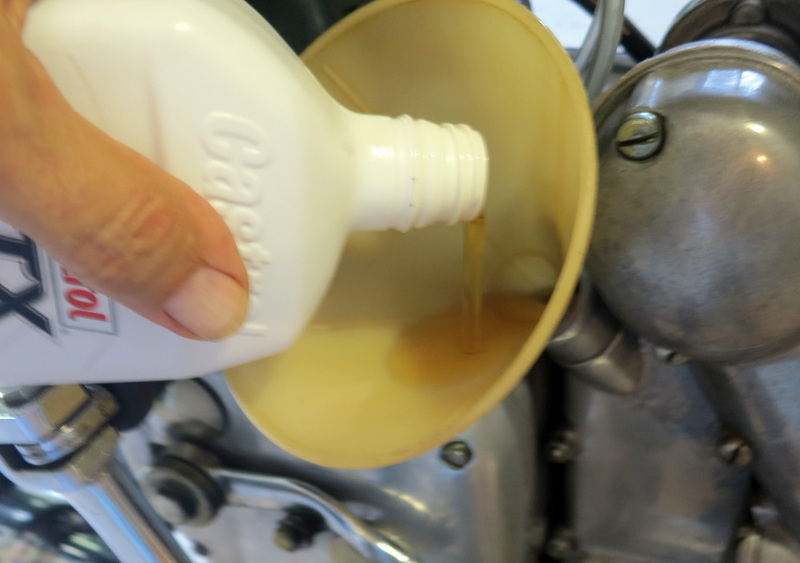 Now press the decompressor lever with your thumb and gently press just a little bit more on the kickstart to move the piston just past compression. With the ignition on you will see the amp meter flick from discharge (left) to near center (right) as the piston reaches the correct position. With the ignition on and decompressor open, watch for the amp needle to swing right. You may or may not need the enricher to start. 9. 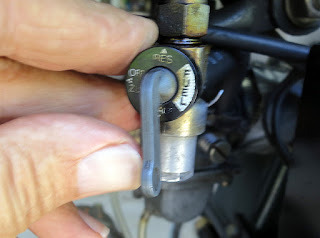 Set the enricher lever by pushing down on the lever on the carburetor. 10. Now kick start the motorcycle. Your kick should be long and fast. Strength is not the issue. Kick confidently and kick all the way through. IF YOU USED THE ENRICHER LEVER be sure to push it back up once the motor is running or your spark plug will foul. Didn't start? Go back to Step 8 and try again, this time without using the enricher (Step 9). when you stop the engine to park, kick over until compression felt, hold decompress and press kickstart a little. This leaves it in top dead centre and it won't wet sump. Even better, go watch "Royal Enfield 500 bullet, starting and stopping procedures." on youtube, YAY! Now, you start to see the secret of talking to your RE's... They come to trust you! Putting the piston at TDC worked for me for years but no longer prevents wet sumping. Oil has more than one route into the sump, apparently. Thanks, Kevin. You've been a good teacher on the Classic Motorworks Forum.